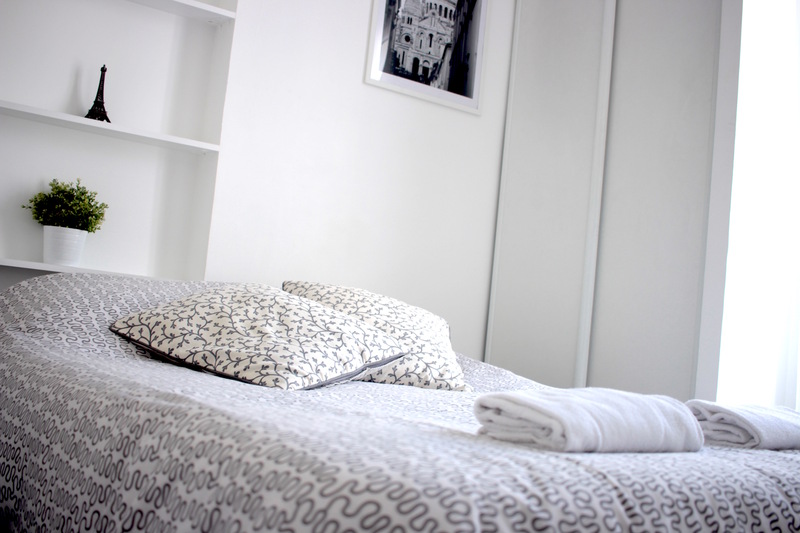 Furnished accommodation available for 1-12 month periods, contact us for more information and pricing. 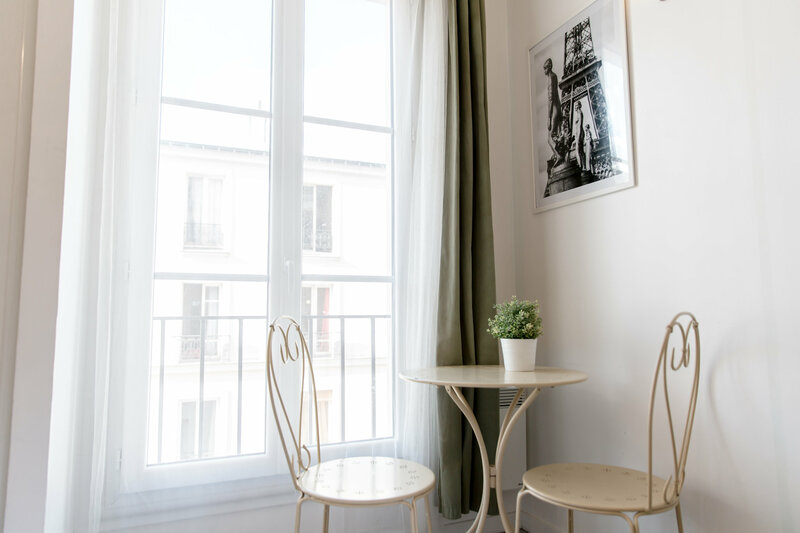 With refined and classic tones, and pastel colours, the Renoir apartment has recently been renovated. 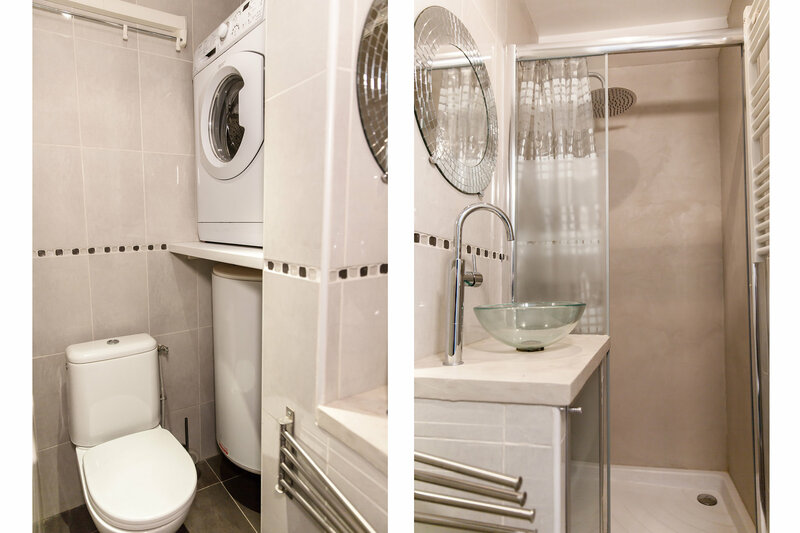 It offers a great comfort with a fully equipped kitchenette, bathroom, and a cosy living room/bedroom. 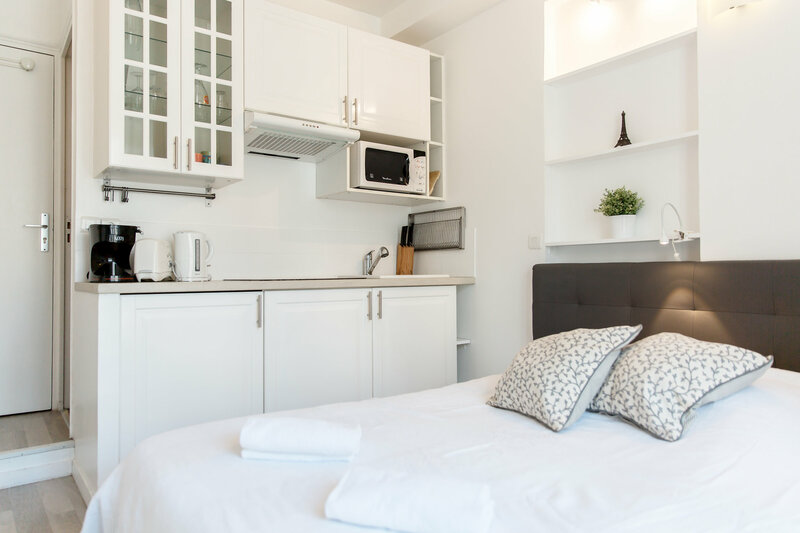 A flat screen TV, washing machine, dish-washer, ironing board, microwave/oven and fridge will enable you to feel at home. 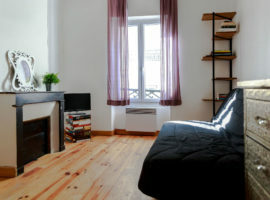 At an only 3min walk to the Sacré Coeur, this studio flat offers a variety of visits and entertainment. 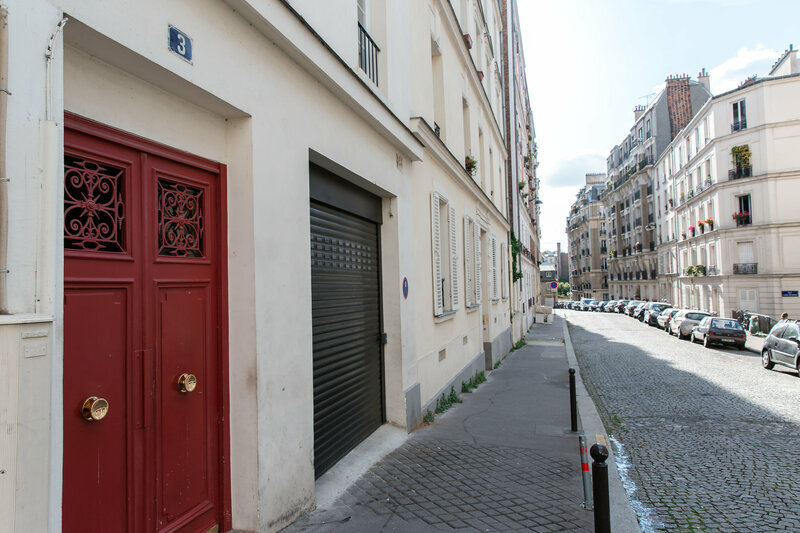 You can join the Moulin Rouge within a 15min walk! 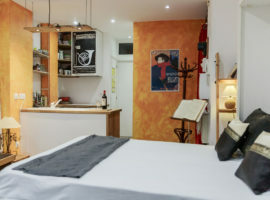 Close to the bars, restaurants, cafés at Place du Tertre, where you will see the most talented artists. 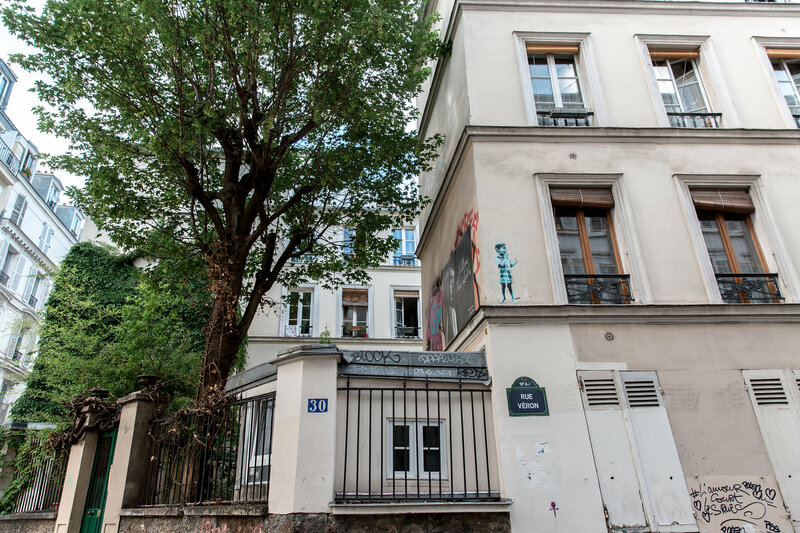 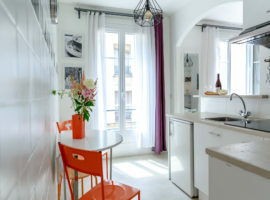 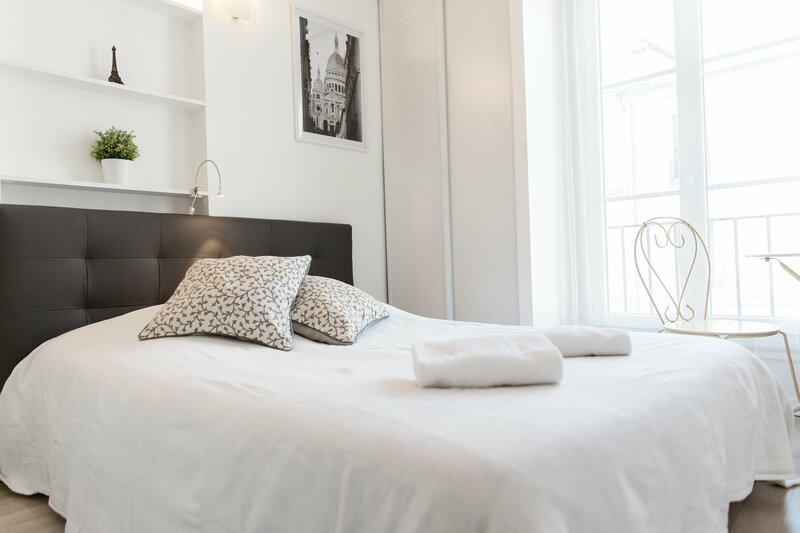 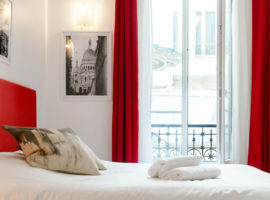 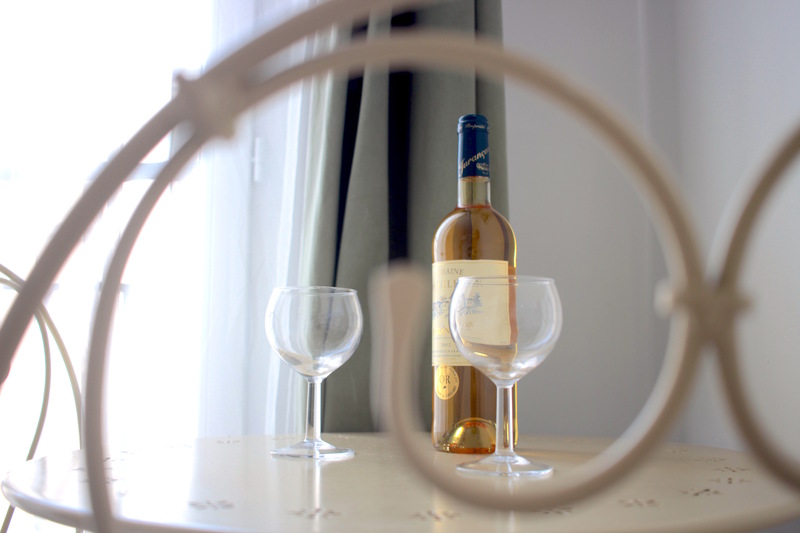 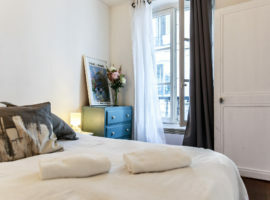 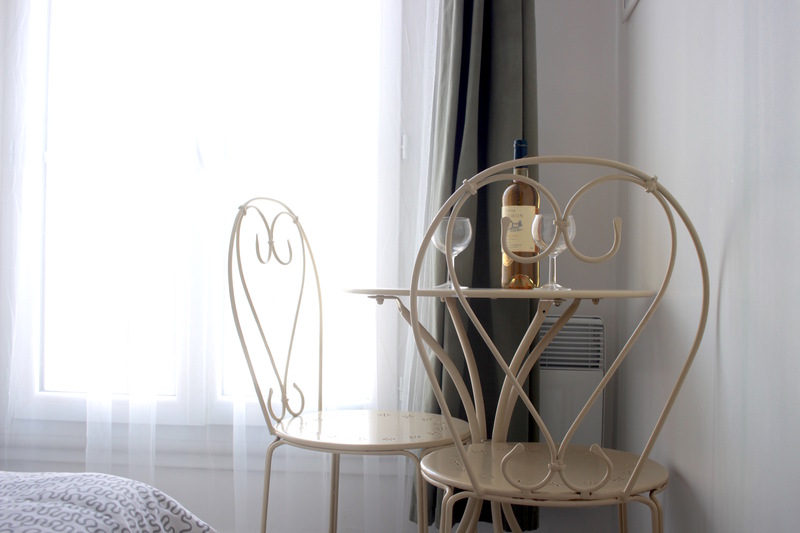 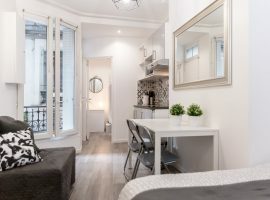 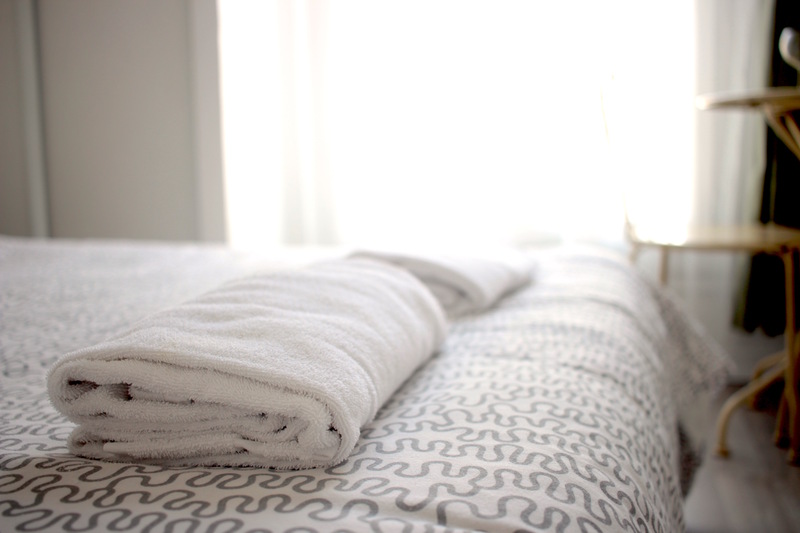 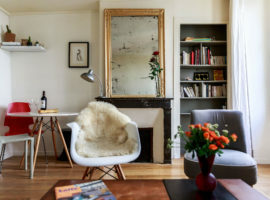 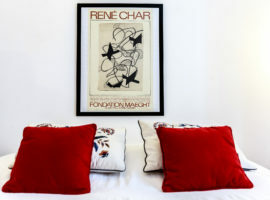 This studio is perfect for couples and small groups wanting to stay in a Parisian flat. 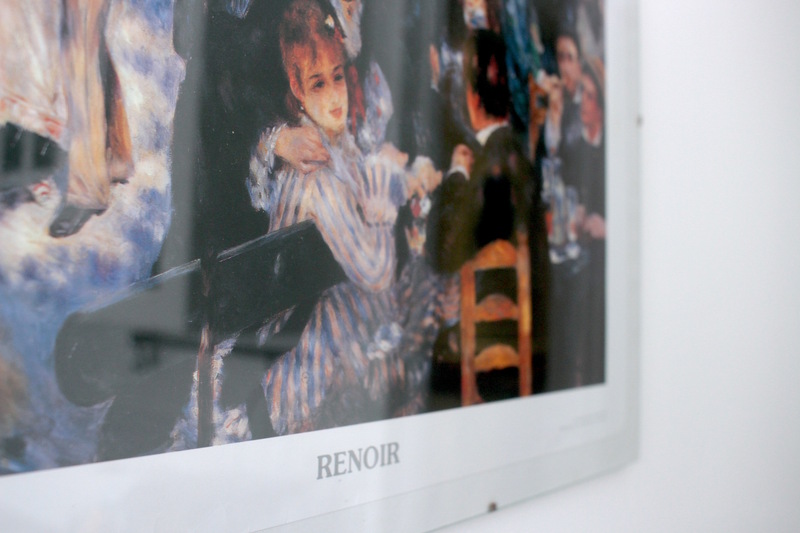 The Renoir is a the third floor with lift in a secured building.